At each edition of the MCB Design Award, since 2013, the Museu da Casa Brasileira presents a homage panel, Pioneers of Brazilian Design, highlighting the trajectory of characters whose performance was fundamental for the consolidation of the field of design in the country. After paying homage to Fábio Alvim, Luciano Deviá, Fulvio Nanni and Anísio Campos, this year we highlight the prolific career of Percival Lafer. The son of immigrants, Polish and Ukrainian, he graduated from FAU-Mackenzie (1959) and, with the untimely death of his father, Benjamin, from 1961 on, he assumed the continuity of the traditional Lafer Furniture House, founded by him in 1927. Since then, he has designed numerous series of furniture, aimed at serving the middle-class market with industrialized products thought carefully from the small details. It continues to work until today, at the age of 82, and its production, which is extremely accepted by the internal and external market, is prized for technology experiments and the search for innovation. It had 1,300 employees and 35 franchised stores in the United States, exclusively marketing its production. In the 1970s, he also started to produce pieces of urban furniture, such as the São Paulo orchestras, which were produced for more than a decade. Here we have a small chronological cut that allows visualizing the creation of pieces that have ended up integrating the memory of the house of many Brazilians, also highlighting the diversity of its scope as designer, when reproducing the British car MG TD in a national version – MP Lafer , which has become an icon for many generations. The novelty of this year’s Pioneers panel is that our homage was complemented by the launch of the book Percival Lafer – design, industry and market, by Olhares, with text by Jayme Vargas and preface by Mina Warchavchik Hugerth, and by the donation of one of his pieces , that will integrate the collection of modern furniture of the Acervo MCB. This is a small operation that reveals the importance of the necessary steps to consolidate the history of our design, still to be built, recovering trajectories not yet mapped that remain unknown to the new generations. 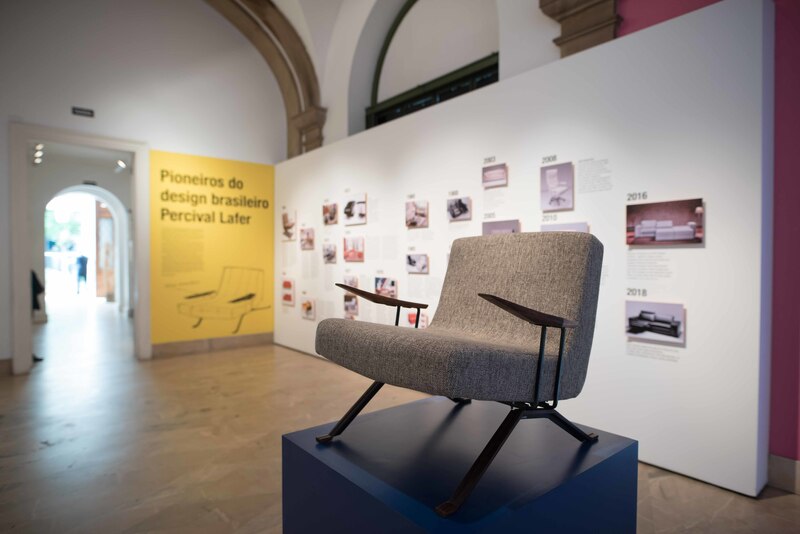 At the opening of the Premio Design MCB, the Museu da Casa Brasileira brings together the historic panel Pioneiros do Brasil (Brazilian Design Pioneers), highlighting two points in the Brazilian design time line: documentation of the past (albeit recent) and a present cut, selected annually for the Museum’s award. The first panel, in 2013, rescued the work of the designer Fábio Alvim (1944-1993), the second in 2014, paid tribute to the architect and designer Luciano Deviá (1943-2014) and the third, in 2015, brought the work of Fulvio Nanni (1952-1995), one of the forerunners of author design in the 1980s in Brazil and in 2016, Anísio Campos, was honored.